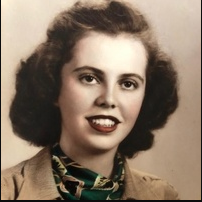 Joyce Bleil Laffoon, 86, passed away on March 15, 2019. Born in Chicago, Illinois on Mother’s Day, May 8, 1932, she was the oldest child of Walter and Leona Bleil. Joyce was joined by sister Elinor and brother Leonard and spent her formative years in Oskaloosa, Kansas where her parents owned and ran a grocery store. where you stood with Joyce. A private, family service will be held at a later date. Suggested donations to Jeffco Action Center, c/o Kibbey Fishburn Funeral Home, 1102 N. Lincoln Ave., Loveland, CO 80537. There are no comments yet. Be the first to comment on this article. Site contents copyright © 2019 Recorder Online	except as noted. All rights reserved. | 88 queries in 2.052 seconds.